Ever want to learn more about sewing? 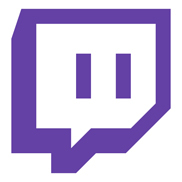 I run a live stream hosted by the Twitch streaming service, which focuses solely on sewing and machine embroidery. There is chat and people are free to interact with me while I’m working in the studio. I also provide live tips and tutorials on a number of patterns and sewing techniques! There are usually additional days or possibly schedule changes due to life happenings. Follow me on Twitter to catch the latest updates!